Ok so coffee didn't specifically solve the problem but coffee is always good and definitely helped while we searched the internets for solutions. Wine. Wine would have also been good but it was morning. Oh well. Back to the net. And lo, solutions appeared. 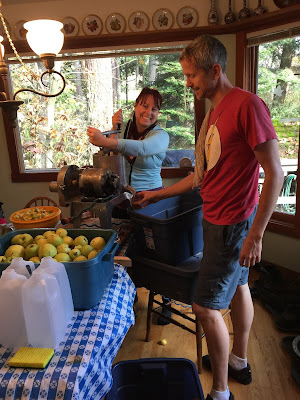 Christine found an apple press for rent on Kijiji (Not on UsedVictoria, what?). It was in high demand but we managed to get it on a cancellation for the weekend. The cost was $25.00 plus 2 liters of juice per day of rental. Seemed reasonable. We called some package and container places on the island but their juice jug cost seemed too high. I was heading back to Vancouver for the week so we checked into Vancouver companies. We found some reasonably priced juice jugs from Richards Packaging which were 1/5th the price of the ones in Victoria, yay! On the big day, the family brought over all their juicers and (after coffee) we went to work washing, sanitizing, chopping, slicing, scratting (love that word), pressing, straining juice and filling jugs. Below is the press in action. The apple slices were fed into the scratter and the pulp/pomace came out the bottom into a clean and sanitized tote. 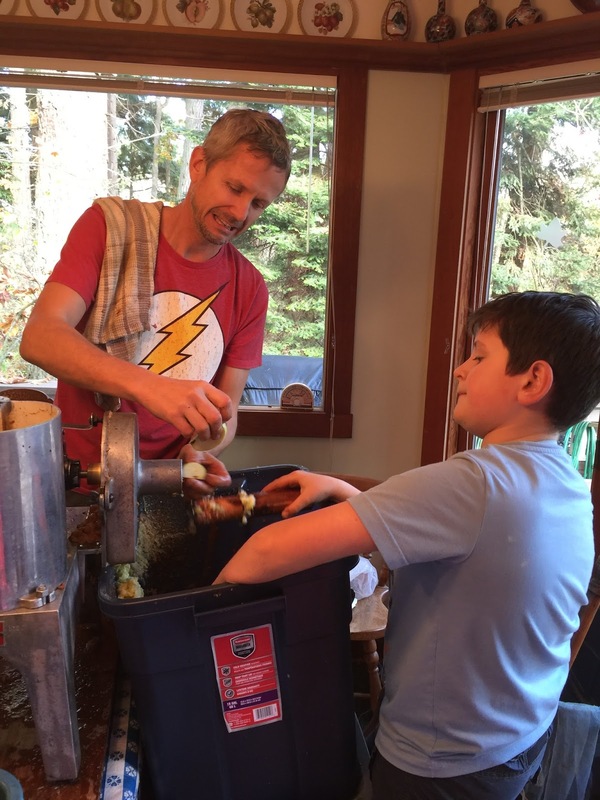 The pomace was scooped into the press and the juice was slowly squeezed out into another clean and sanitized tote. Wet pomace from the juicers (they didn't do as good of a job as the Omega) was also added to this tote to recover the maximum amount of juice. Slowly being the operative word. The scratter worked like a dream but pressing the pulp to get the juice was the rate limiting step. It couldn't be rushed or the pomace just escaped around the pressing plate. Also, the juice yield was far less than what could we got from the juicers. Still it was far faster than juicers alone and we didn't have to worry about burning out the motors. Check out this awesome little video that Marcus made showing us all at work. Even with all of us working together we didn't quite finish in the better part of a day. I finished the last totes of cider apples over the next couple of days with the Omega. It got a much higher proportion of juice out than the apple press or any of the other juicers. Fantastic little machine. 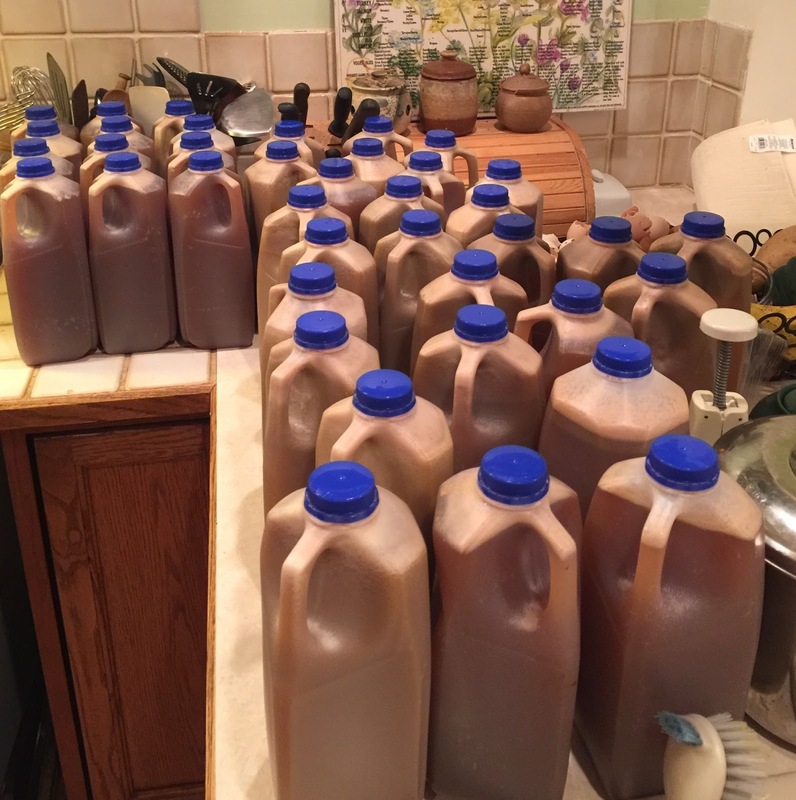 We ended up with about 160 liters of apple juice about 40 of which I set aside for cider. We froze all the juice so I could take a break and research how to make cider and get the equipment. However, we are still wondering about next year. Would an investment in a small commercial grade juicer be worth it? There were obviously many other people in need of a press who would be willing to rent it (as we did) so it would potentially pay for itself over time. But good ones are not insignificant amount of money. Hmmm. Luckily we have a year to think about it. 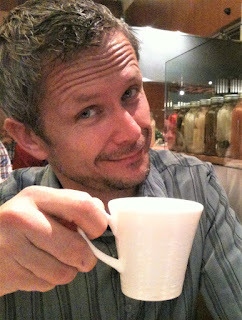 For now, I'm just going to have fun learning about how to make the best cider ever! If it turns out well it will be one more reason to invest in our own super-awesome press.